What’s happening this Halloween 2016 season in and around St. Augustine? What’s happening this Halloween season? As summer comes to a close, it’s time to start planning for Halloween. Pumpkins, trick-or-treating, and ghost stories will be here before you know it, so we’ve put together a list of Halloween activities in and around the City of St. Augustine to make planning a festive Halloween season that much easier. A classic tradition of the spooky season is the beloved corn maze. The 9-acre corn maze at Sykes and Cooper Farms is open from October 8-30 in Elkton and is a fun experience for families and friends alike. After you’ve navigated the twists and turns of the maze, enjoy other activities including hayrides, duck races, visiting the farm animals, a cow milking station, and a lil’ farmer’s play area. If you’re looking for something to do for the whole family, exploring a pumpkin patch or fall festival are great chances to make some memories. 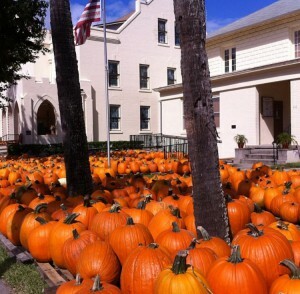 First United Methodist Church at 118 King Street in St. Augustine will have a pumpkin patch during the month of October (expecting pumpkins to arrive the week of Sept. 28). Our Lady of Good Counsel at 5950 State Road 16 in St. Augustine will have a pumpkin patch from Oct. 2-31 as well as their Fall Festiv’All from 11 a.m.-4 p.m. on Oct. 30. Rype & Readi Farm Market at 5780 County Road 305 in Elkton has a lot planned for this Halloween season. They will hold a giant scarecrow building competition. The contest is open to registered groups through September. The judging will take place October 1. The scarecrows will stand in the pasture until Oct. 29, when the second annual Scarecrow Burning Man will take place. The Fall Festival & Farm Feast is set to take place on Oct.15, including a pumpkin patch and an apple slinging contest. Pumpkins & Petting Zoo will take place on October 4, 13, and 26 which includes storytelling for the children, hayrides, and pumpkin decorating. The Octoberfeast is Oct. 28, which is a “Not So Haunted Mansion.” And the SPOOKS ON, the Haunted Mansion and Scarecrow Burning Man will take place on October 29. Shores United Methodist Church at 724 Shores Blvd. will host its annual pumpkin patch starting on Oct. 8, will host their Fall Festival from 3-5 p.m. on Oct. 22 and will host their Trunk or Treat from 5-7 p.m. on Oct. 31. St. Ambrose Catholic Church at 6070 Church Road in Elkton will host its Fall Festival on Oct. 2. Tommy’s Pumpkin Patch & Fun Zone at 2460 County Road 210 West will be open 7 days a week starting Sept. 30 through Oct. 30. 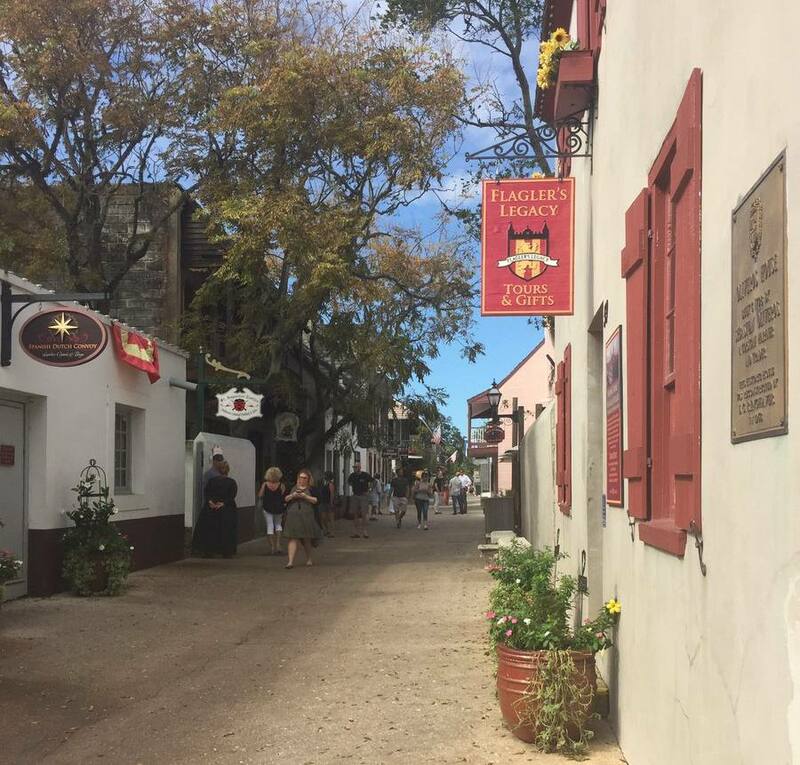 There are quite a few haunted tours one can take in St. Augustine. Whether you want to travel by foot, trolley, or boat, we’ve got you covered. Tasting Tours offers a haunted carriage tour and a haunted walking tour Oct. 28-31. 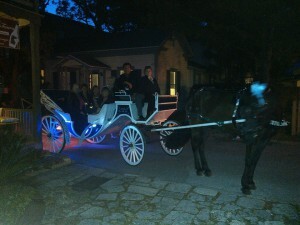 The carriage tour includes a 45 minute horse drawn carriage ride through the city, wine for the carriage ride, a souvenir wine glass, and historical tales and ghost stories. The walking tour is a 2.5 hour guided wine or beer walking tour which stops at 4 different wine or beer tasting venues. Enjoy your spirits while listening to ghost stories. Both tours are 21 and up. GhoSt Augustine hosts haunted pub tours, pub hearse rides, paranormal investigative tours, and much more. Take a trolley on the Ghosts & Gravestones tour. Halloween-themed walking tours are also available. If you want to tour by boat, try out Captain Jack’s Ghost Tours. Explore the Matanzas Bay with Captain Jack and experience the city in a unique way. 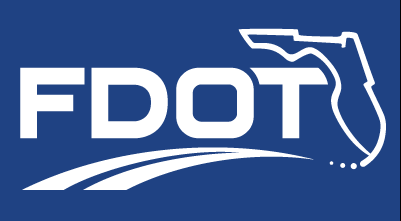 Be sure and check our calendar for any and all activities and events going on in and around St. Augustine. Natalie writes blogs for OldCity.com and Old City Web Services. 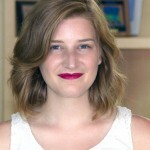 She also runs social media accounts for OldCity.com, writes content for clients, and works on day-to-day projects. She loves taking pictures and trying out new popsicles from The Hyppo every chance she gets.